Barnstable County was founded in 1685 and encompasses the land and the 15 towns that make up what is popularly known as Cape Cod. The Barnstable County Registry of Deeds contains the over three centuries of real property ownership history for Cape Cod. In Massachusetts, Registries of Deeds deal only with title to real property. Other aspects of property ownership, such as building type/size, property taxes, zoning, etc. fall under the jurisdiction of the municipality where the property is located.  Property records at the Barnstable Registry of Deeds begin in 1742 and Land Court records begin in 1898. With the exception of some very old records and a few oversized plans, all of our Registry of Deeds and Land Court indexes and images are available for searching and viewing at this website. In addition, we have tried to include on the site links to other sites that deal with the various aspects of real property ownership not specifically related to title. Property records are public records and anyone may view the records and gather information, however, the method prescribed by the Massachusetts General Laws for indexing all recordings is a name based system that may not be intuitive to the uninitiated. For an effective and accurate title examination of a property you may wish to seek the assistance of an attorney or an experienced title examiner. While we do provide an address based search option it is not an official index of the Registry and should not be relied upon to determine the status of a property or if a document has been recorded. Answers to many common questions concerning real property ownership can be found under our FAQ link and other link options on this site. Please take your time to check those options; the answer may only be a click away! The Registry will be closed all day on Monday April 15, 2019 in observance of Patriot’s Day. The Registry of Deeds will be closed all day on Monday February 18, 2019 in observance of Presidents Day. The registry will be closed all day on Monday, November 12, 2018 in observance of Veterans Day.